I am an expat here in Malaysia holding an Employment Pass, currently residing in Masai. I would like to apply for MACS for a weekly visit to my wife who is living and working in Singapore. Will I be eligible for MACS? 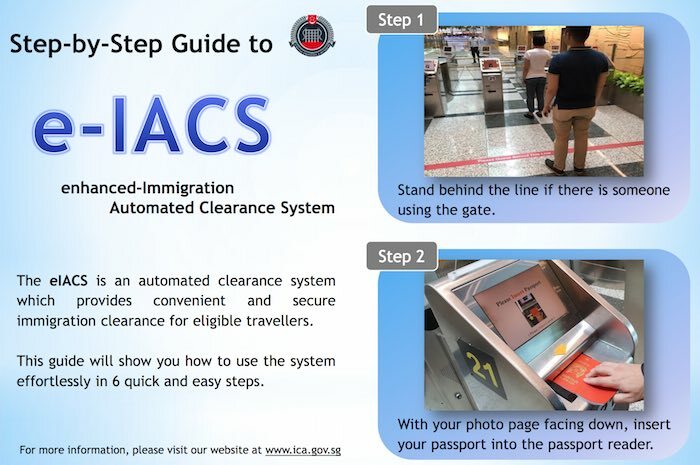 MACS is not for entry to Singapore. It’s for entry to JB only. It’s not even for entry via KL. My wife is malaysian in an india citizen and i working in singapore can i apply for the MACS…how lobg is the processing time?and how much? I understand that MACS is for entry to JB. Since I have to visit Singapore every week to be with my wife, MACS would save my passport atleast from the stamp going in and out of CIQ. Now my passport is half-filled with immig stamps and my EP in Malaysia is only until Oct 2017, (required 9months EP validity). I plan to apply for MACS after my EP is renewed and I have a new passport. I’m also in a similar situation as your’s, would appreciate if you have any valuable point to share regarding this. Please advise if you were able to sort the issue. I am a moroccan working in aingapore but stayed in jb. I work 6 days a week. But i didin’t get to apply macs just because i am considered african continents. Is there any other ways ? I am in a difficult position as i dont have a place in singapore to stay..and if i were to renew my passport it would take 3 months … pls advice. Hi issam, did you find any solution for this? This is really unfair,i went to renew my macs for 3rd time,i been shocked of the non eligibility of my passport.am Moroccan entitled of 90 days free visa to Malaysia and a Singapore resident and often visit JB at weekends .they ban all African continent countries from applying without stating any exceptions for those who are staying permanently in Singapore .hope the Malasiyan Gov make rules more flexible fore those who are frecquenting johore or Singapore often and they have a permanent status as residents. Hi Via, did you find any solution for this? Yes, it doesn’t matter how frequent or infrequent. Can someone please advise the location of MACS office in Johor. I would appreciate your kind response. As at now, Year 2017, are we (Singaporean) must do MACS entry permit at Orchard Singapore only? i do have a property in JB. Nusajaya right now. if only in JB or Singapore. what documents should i bring over? thanks! I have plan to apply MACS visa. i am from korea and holding work permit. can i apply the visa? Is it worth retrying the application? Did you manage to sort out your situation? Are you staying in JB? Hi – this site is fantastic. So I have a long term pass in Singapore (because my wife is Singaporean) and I’m employed out of Singapore, but I want to reside in KL (only KL) for a few weeks while working from home. Can I apply for this MACS? I’m paying all taxes in Singapore, etc. I’m currently working in Singapore but I’m holding a Long term visit pass in Malaysia. Am I eligible for macs since my work pass in Singapore will be expiring on October this year.? Hi May! May I ask how you are able to handle your situation? Do you travel to Malaysia from SG work everyday? My husband is Malaysian and both of us are working in Singapore. We intend to stay in JB then just travel in and out of JB for work everyday but I am not sure if this is allowed. Will be applying for spouse visa soon. If I dont have the automated clearance then my passport will be finishing off in no time. 4.Only 30sitting chairs being provided Vs hundreds are standing thus unsafe during fire or any emergency. 5.Parking lots are limited and charges ia too high ($5/hr) imagine 3hrs to complete the submission cost $15 parking fees. MACS only applies to the JB immigrations. If you travel from Singapore to JB using MACS and then proceed to other parts of Malaysia, example Penang. You are not allowed to fly back direct from Penang to Singapore, because there is no entry records into Malaysia. Is it really so? Thoiught they scan the passport, supposed to have RFID) when you entered the country via JB and using MACS? Then immigarion computer should have the entry registered? I am singaporean, want to live in JB (rent) and come back to singapore 3 days a week. will I be able to stay in JB with macs and without mm2h pass? Do you think I will have issue crossing malaysia immigration after a while? I’m Singaporean.. renting in jb..
i dont drive, i grab/uber every morning to CIQ.. took any bus to shuttle from CIQ To Woodlands ICA..
Holding MACS.. no issue entry and exit JB every morning 5 days a week.. In Singapore, now they have 2 gantries only for Singapore passport holder so you can beat the morning crowd in a breeze.. as long as you reach ICA before 5.30am..
And MACS gantry, also beat the crowd on Saturday especially.. But, MACS gantry in jb frequently breaks down haahaa *nothing new* but no worries, they have 1 or 2 manual counters only for MACS holders.. Just don’t make a fuss when it breaks down, coz in the first place, MACS holders are for frequent travellers, not for living in jb.. I have used MACS to enter JB, how can i get the entry exit details using my MACS. I have an MM2H long term visa but was surprised when my passport is still chopped eveytime I enter and/or exit Malaysia. Wonder why can’t it be like for Singapore PR who do not have to fill in forms nor passport is chopped. Anyone have a solution or answer for that? MACS is of course a solution but it means double charged since I have paid heavility for the MM2H visa! I am holding Long term pass in Singapore and I have malaysia visa valid for 7 months, can I apply for MACS ?